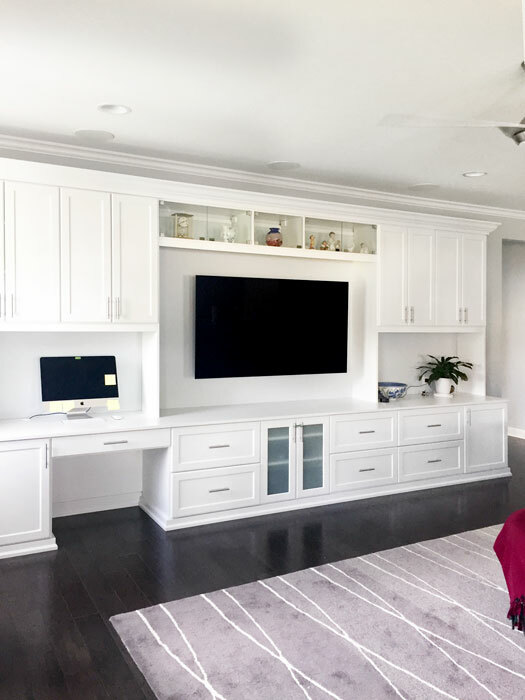 What began as a simple request to have somewhere to put craft supplies, games, and work on the computer blossomed into a breathtaking hobby storage hub, home office space, and entertainment getaway. The design is a symphony of textures, storage options, and functionality. Overhead frameless glass doors are a sophisticated showcase of antiques and art. 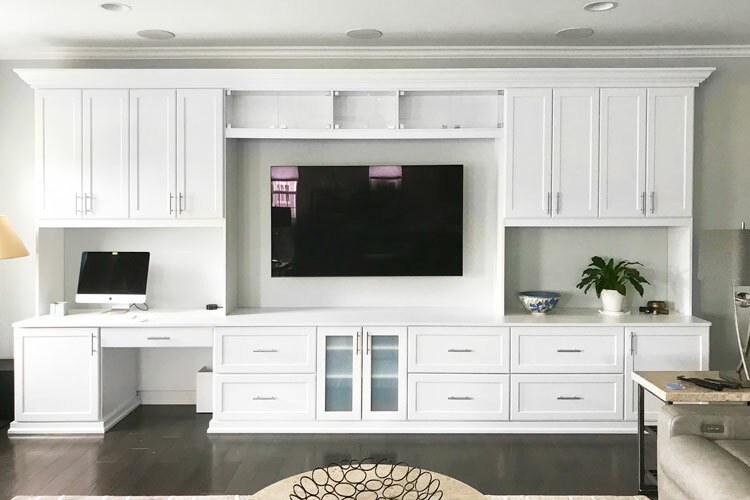 A spacious desk is built in — providing the perfect workspace with accompaniment of file drawers and roll-out shelves for printers and other tech gear. 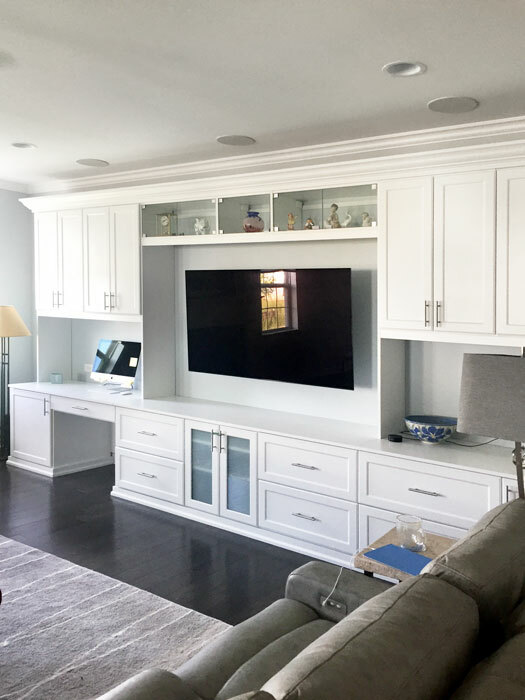 When it's time to wind down and relax, this media center becomes the family's oasis for movies, games, and more.